Finishing end of term papers and thinking about how best to avoid plagiarism? A new Kahoots game to help with that! 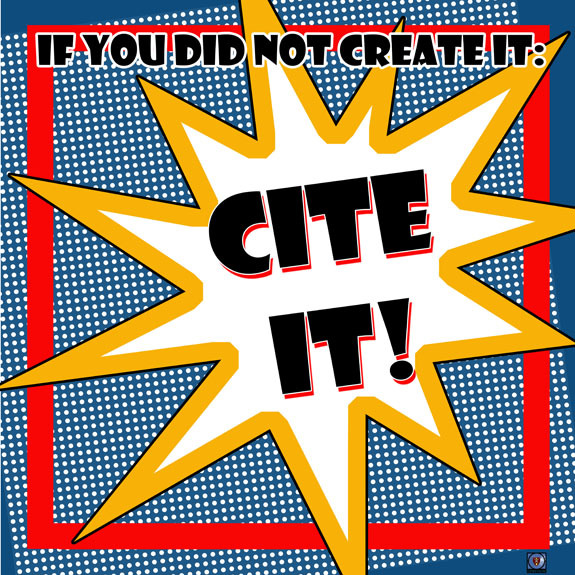 Now hanging in the Humanities classrooms is a new poster, designed to achieve Citation Salvation and Deliverance from Plagiarism. Scan the poster’s QR codes to take you directly to the library’s citation guide, to Noodletools and/or the Plagiarism avoidance library guide. New on the library’s LibGuide site is a fresh guide devoted to citing MLA style. Included in the guide are citation examples for all of the library’s digital collections, scripture, free-on-the-open-web sources an well as annotated bibliographies and an important bit about plagiarism awareness. Curious about why we bother to cite? This concept is discussed on the top page of the guide. Questions about the why or how of citation? Please do be in touch! (lsanborn at sps dot edu). New in the Library’s research guides is a tab devoted to Plagiarism Awareness. (This link leads to the page as embedded within the Anatomy & Physiology guide. The page will be a component of all guides). This little page is intended to provide quick definitions and a visual to understanding (and avoiding) even the most accidental of plagiarism.